While we’d like to think that all statement lights are created equal, there’s more to picking a lighting fixture than first meets the eye. Luckily, designer, blogger, and all-around trendsetter Becki Owens is seasoned in the art of setting the mood. Beloved for her easy and effortless style, the San Clemente–based designer has become a beacon of sorts for those who wish to master the west coast–casual aesthetic. Now, SoCal-cool devotees can snag Owens’s covetable beachy-chic look with her new lighting collection for Hudson Valley Lighting. “I wanted to make sure that the collection offered a clean, modern aesthetic that blends with both the bohemian and coastal styles you see in California design,” says Owens. Inspired by the coastal beach town where she lives and works, the designer’s lineup of sconces, pendants, and chandeliers draw on mixed metals and smooth glass silhouettes that would feel at home in a modern farmhouse, oceanside cottage, and everywhere in between. Price points range from $260 to $1,500. Ahead, the designer offers a peek of her latest home collection and breaks down her shopping rules for finding lighting that can live in your home forever. Elaborate, sculptural fixtures have their time and place. If you’re wary about shopping for lighting and don’t want to have to call your electrician twice, steer clear of snazzy embellishments. 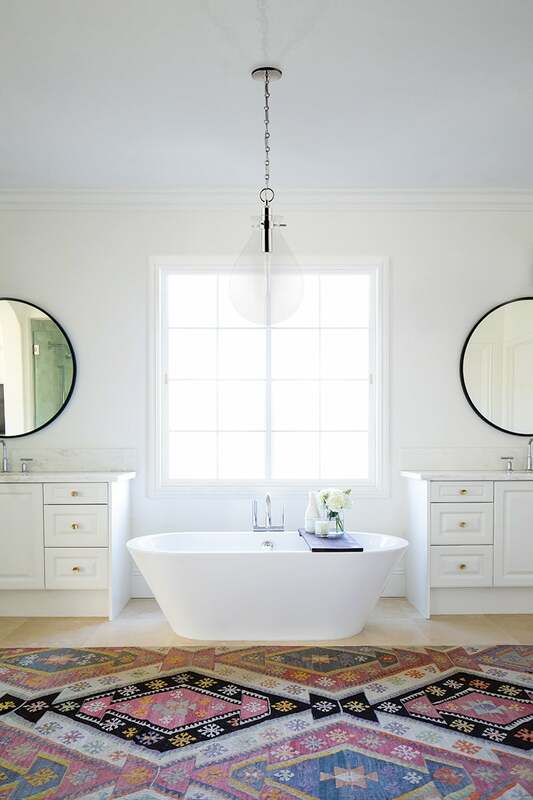 “We kept the details simple, highlighting the glass shapes for open, airy light fixtures,” says Owens of channeling a relaxed sensibility. In lieu of busy structures, Owens suggests getting playful with the finishes. “Mixing metals and brass finishes makes [for] beautiful statement pieces,” adds the designer. The big statement lighting trends Owens has her eye on this year? “Teardrop shapes and woven rattan,” she shares. That might explain why the Ivy light (available as a sconce or pendant) is her favorite pick from the collection. “They’re beautiful in kitchens, hallways, or to frame a mirror in the bathroom. I have the sconces in my kitchen,” she says. For Owens, scale is the number one factor that can make or break statement lighting. While it is possible to buy a light that’s too big, the designer finds that most lighting woes stem from going too small. We’re guessing the designer’s next lighting debut might include vintage-inspired basket pendants and large woven chandeliers. For now, we’re adopting the beautiful teardrop and lantern designs from her newly launched line.